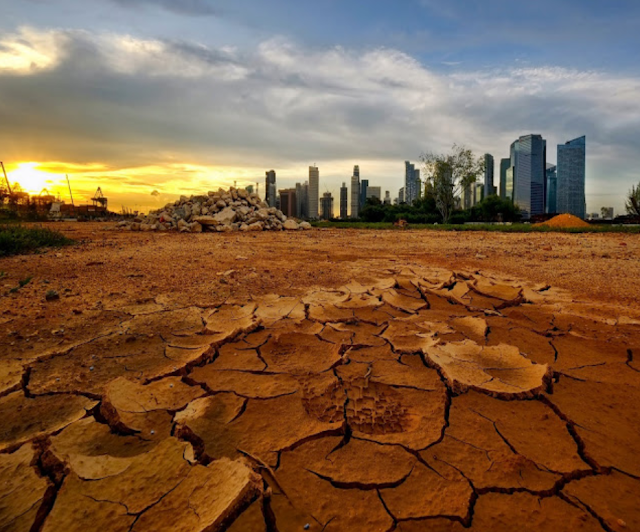 HSBC one of the world's largest banks says the planet is running out of resources and warns that neither governments nor companies are prepared for climate change. The world spent its entire natural resource budget for the year by August 1, a group of analysts at HSBC said in a note that cited research from the Global Footprint Network (GFN). That means that the world's citizens used up all the planet's resources for the year in just seven months, according to GFN's analysis. "In our opinion, these findings and events show that many businesses and governments are not adequately prepared for climate impacts, nor are they using natural resources efficiently," the HSBC analysts said in the note. Many banks and asset managers have started factoring climate risks into their decision-making - a move spurred in part by former New York City Mayor Michael Bloomberg. But it's far less common to see multinational banks sound the alarm about climate change so explicitly in their equity research. To calculate Earth's natural resource budget, GFN considers the demand for natural resources - which includes food, forests, and marine products - as well as humans' effects on the environment from factors like carbon emissions. The combined total is designed to give a comprehensive picture of humanity's global footprint. Earth Overshoot Day, the point in a year at which we use up a year's worth of resources, has been steadily moving forward in time since GFN first started tracking it. In 1970, we "overshot" Earth's resource budget by only 2 days - Overshoot Day fell on December 29, according to HSBC. That date has been pushed up by almost five months since then. HSBC's note also warned about extreme events resulting from heat, including the wildfires in Scandinavia and broken temperature records around the world. "As scientists work on attribution analysis for specific events - the general consensus is that climate change is making these events more likely to occur and more severe," HSBC said. The predicted effects of climate change are starting to become real. Wildfires have torn through California in recent years, and they're part of a worsening trend related to rising global temperatures. Other consequences include increased frequency of hurricanes and flooding, melting ice sheets, and greater numbers of heat waves. Recent studies have shown that global temperatures by the year 2100 could be up to 15% higher than the highest projections from the Intergovernmental Panel on Climate Change. According to HSBC, extreme events have severe economic and social costs. "In our view, adaptation will move further up the agenda with a growing focus on the social consequences," the analysts said.